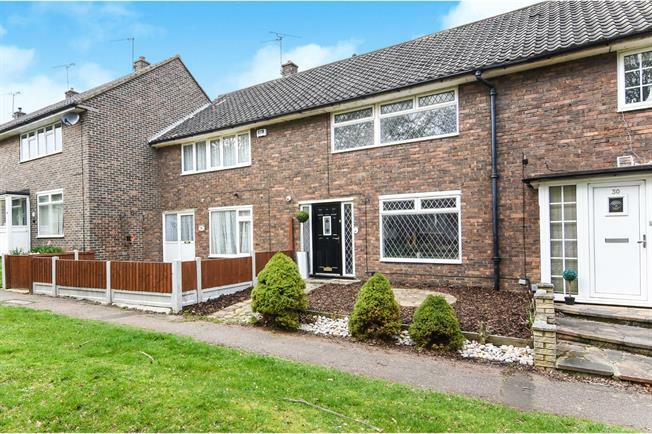 3 Bedroom Terraced House For Sale in Basildon for Asking Price £270,000. Located in the highly sought after area of Lee Chapel South, perfectly situated within walking distance to Lee Chapel Primary School this home is perfect for any young family. The property has been finished to a premium standard and needs nothing more than your furniture to call it a home. This family home offers everything you need and is perfect for anyone looking at doing no work. Basildon town centre is only moments away and offers a variety of transport links including its mainline train station with links to London via the C2C line. Internally the property offers a high end finish to the bathroom and kitchen, while the sizeable living space offers a welcoming space perfect for family and friends. The light and airy conservatory overlooks the rear garden and is an ideal space to relax and unwind. The properties rear garden boasts a patio area, laid to lawn grass and outside storage space. Call today to arrange a viewing to truly appreciate what this property has to offer.